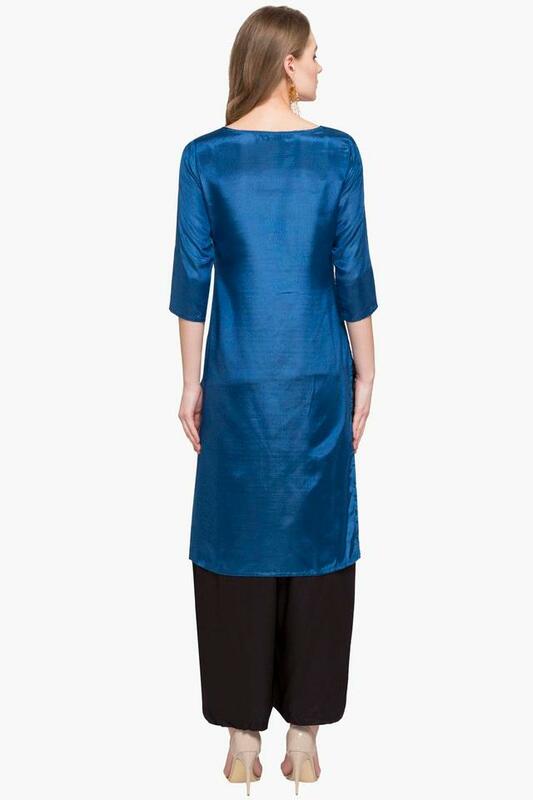 Get your wardrobe an overhaul with this kurta presented to you by Stop. It is quite comfortable to wear as it has been tailored with care using a superior quality fabric. In addition, it comes with a printed pattern that renders it stylish, while the three quarter sleeves make it all the more appealing. 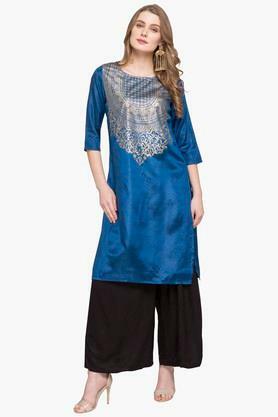 An ideal pick for you to wear for any casual occasion, this kurta will go well with a pair of leggings and wedge sandals. It has been crafted from a premium quality fabric, which will keep you comfortable all day long.